If you are planning a trip to Vietnam from Lisbon, here is the detailed information on how to apply for a tourist/business visa for Vietnam. 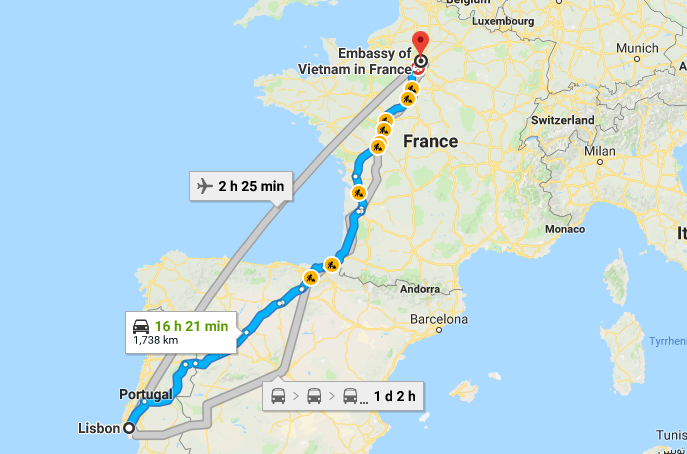 There is currently no Embassy of Vietnam in Lisbon, Portugal. You can contact the Embassy in France for visa information. See the maps and directions to travel from Lisbon to Paris.